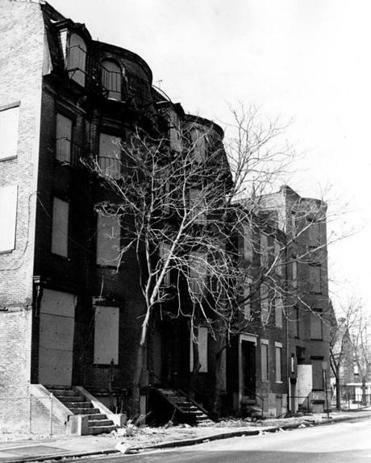 Long ago in the South End, civic activism meant fending off bulldozers. In the postgentrification years, it’s been more about making space for dogs. Leave it to an outsider to trace how the former led to the latter. In a new book called “Good Neighbors: Gentrifying Diversity in Boston’s South End,” the French sociologist Sylvie Tissot explores how neighborhood groups helped transform a working-class area into a hotbed of upscale professionals. During the urban renewal era of the 1960s and ’70s, South Enders learned to organize against expressway and slum-clearance schemes. Those fights united the South End’s black and immigrant enclaves with the “pioneers” then moving into the neighborhood’s old brownstones. In Tissot’s telling, much of what followed had the opposite effect. As time wore on, neighborhood associations prioritized homeowners’ interests over renters’ and spearheaded efforts to shut down bars catering to lower-income patrons. Having gained the ear of City Hall, upscale residents organized around assorted other causes. Pet owners, for instance, succeeded in carving out more than 13,000 square feet of Peters Park as a recreation yard for off-leash dogs. Tissot is a European academic whose book comes from an “independent, radical publishing house.” If you live in the South End, as I do, it’s a little jarring to see the local pugs and Labradoodles cast in so sinister a light. Still, you don’t have to share Tissot’s politics to worry about the underlying dynamic she describes: Under almost any rules for civic engagement, people with resources and connections can steer the process to their own advantage. Even liberal values can disguise a form of control. Between 2004 and 2010, Tissot conducted lots of interviews with South Enders and heard a lot about diversity — a pleasant balance among ethnicities, sexual orientations, and economic classes. In practice, she argues, striking that balance means limiting some people’s options. In 2007, when the Pine Street Inn bought three row houses to accommodate dozens of formerly homeless people, it had some ardent supporters. But enough neighbors protested that the organization felt obliged to scale back its plans. Clearly Tissot wrapped up her fieldwork before the Great South End Poutine Fad of 2012. Sometimes an appetizer is just an appetizer. Still, Tissot’s book does make you wonder if a certain type of neighborhood activism has run its course. Keeping the Man from blasting an interstate through your living room is a worthy cause; freezing out any land use that might make noise is just another way of keeping people out. In the absence of new housing construction on a scale that neighborhood groups often resist, any area that becomes safer, more convenient, and more interesting will inevitably become more exclusive as well. Neighborhoods as old as Boston’s inevitably go through phases. The day spas and doggie grooming parlors of today’s South End gall the activists who stood at the barricades of the ’60s and ’70s. For people who remember the neighborhood as an inexpensive gay sanctuary, the influx of investment bankers with $2,000 strollers feels a little alienating. That’s all the more reason for urbanites everywhere to look out for the subtle ways in which one group of residents can out-muscle another. As the history of a city moves forward, we see everyone’s fingerprints on it but our own. 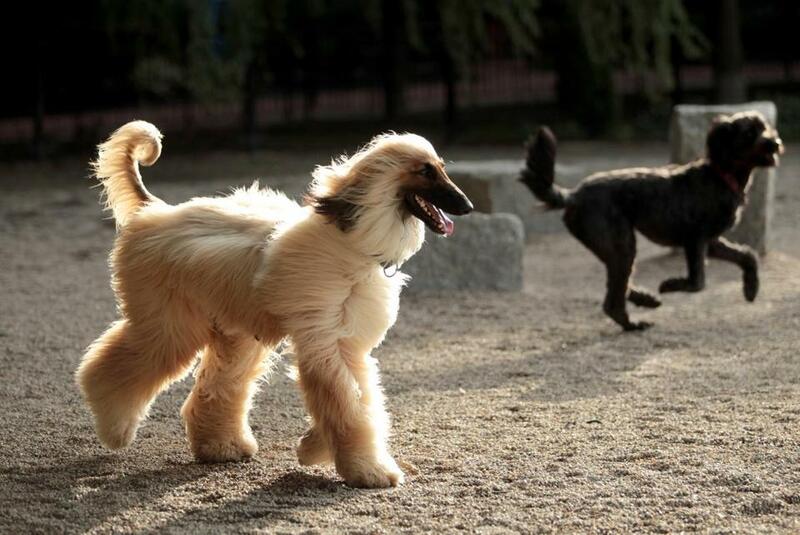 An Afghan hound and a Labradoodle cavort around the Joe Wex Dog Recreation Space at Peters Park in the South End.